It's that time of year again where those of us who are lucky enough to be able to get away for a week or two, to enjoy the summer heat and sunshine away from reality - preferably by a pool - start to get excited about it, and start to pack all the essentials. Some people find preparing for a holiday a stressful aspect of the vacay period. 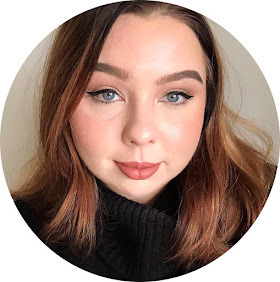 If you're one of those, I hope you take inspiration from this post that makes holiday prep just that bit more streamlined! I personally really enjoy the shopping/packing pre-holiday prep. 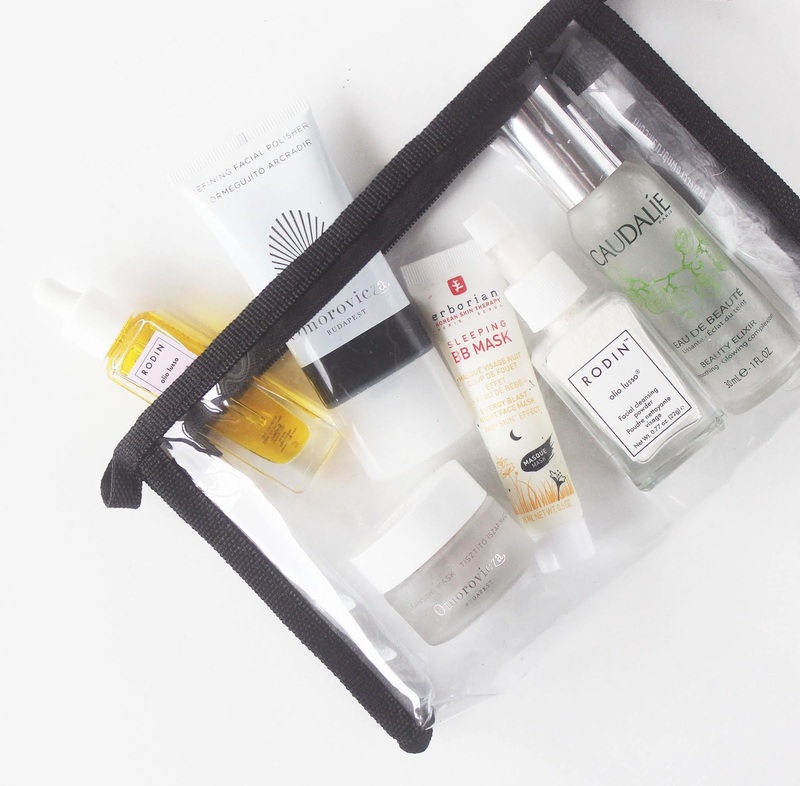 There's something satisfying, I think, about stripping back my beauty products to the bare necessities, and getting my paws on travel sized goodies. Plus, is it just me, or does everybody get a bit 'extra' when it comes to vacay season? Like, you probably won't find me using hand cream all that often normally, but a 'travel sized' set of 5 - one for the plane, one for the beach, one for the handbag, one for the hotel room and one for luck? Need it. Get them into my carry on bag ASAP. First things first: SPF. You actually need it all year round (yep, UV rays don't disappear in December), but it's a must if you're going somewhere hot and are going to practically be cooking yourself poolside 6 hours a day. My current pick for my face is the Heliocare 360 SPF50. Also be sure to put SPF on your lips, too! I use the Lord & Berry Spa Moisture Lip Balm, which has SPF 15. Aside from SPF, be sure to keep your skin hydrated! My skin is particularly on the dry side and I love a good oil. Perfect for popping in the pool bag (or just your handbag, more generally) is a facial oil in a rollerball. I'm currently loving the RosehipPLUS Organic Rosehip Oil Skin Boost Roll-On*. 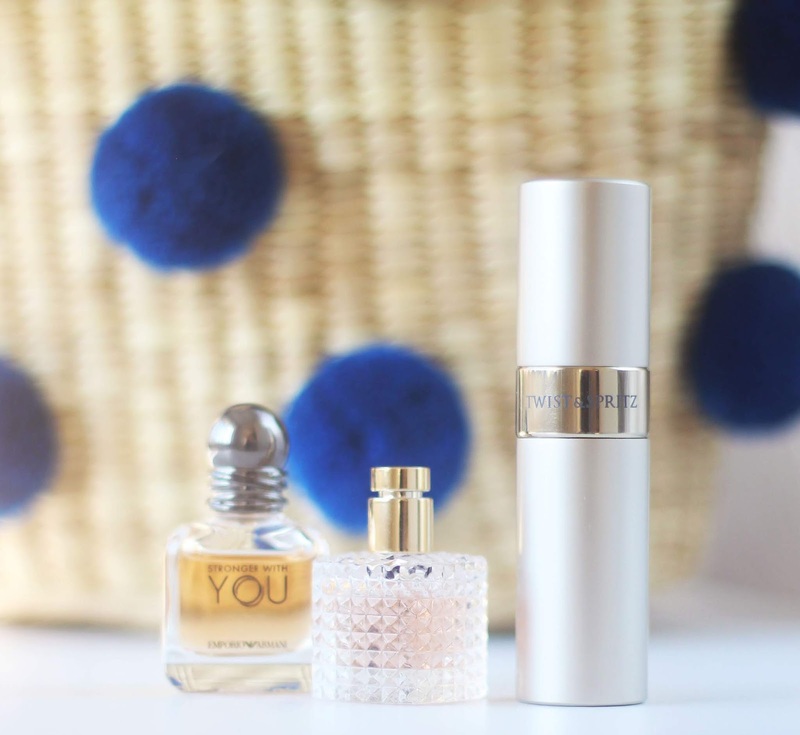 For more of a treatment oil, I'm a little bit obsessed with Rodin's Olio Lusso Jasmine and Neroli Facial Oil* - in a cute little 15ml travel size! I always wake up the morning after using this with softer, more radiant skin. Also in my travel skincare kit from Rodin is the Olio Lusso Facial Cleansing Powder*. Cleansing powders are a dream come true for travelling - it makes a liquid cleanser spilling just one less of a worry! I've also packed a couple of Omorovicza minis. Omorovicza currently have an offer on where you can buy four travel size products for the price of three, so now's a great time to make a start on your summer holiday skincare prepping! My picks are mini versions of the Refining Facial Polisher and Deep Cleansing Mask. I've also got a mini of the Erborian BB Sleeping Mask - which is a night cream that leaves your skin feeling baby soft! Importantly, I also love a good spray! I'm a little bit obsessed with facial mists when it comes to summer because they're instantly refreshing and hydrating. 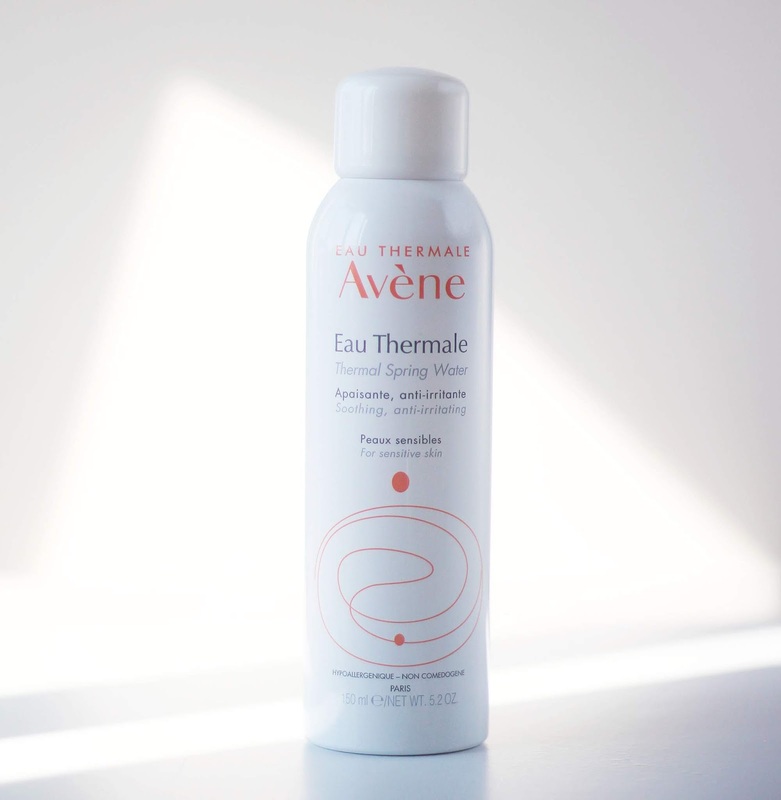 My picks have to be the Caudalie Beauty Elixir - which comes in a travel size, but I also love the Avene Thermal Spring Water* which is very soothing, I love to use it on my skin if I get any pesky heat rash. I got mine here from Chemist.co.uk. 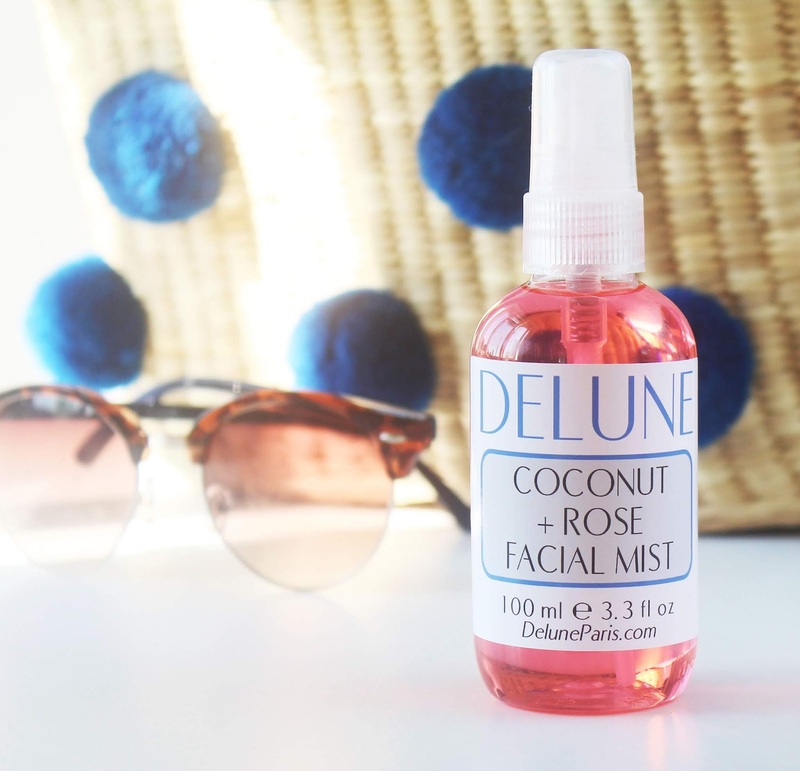 I'm also a little bit obsessed with this super Instagram worthy Coconut and Rose Face Mist* from Delune. I do like to keep face masks on hand even for travelling. Skincare is just that important to me! 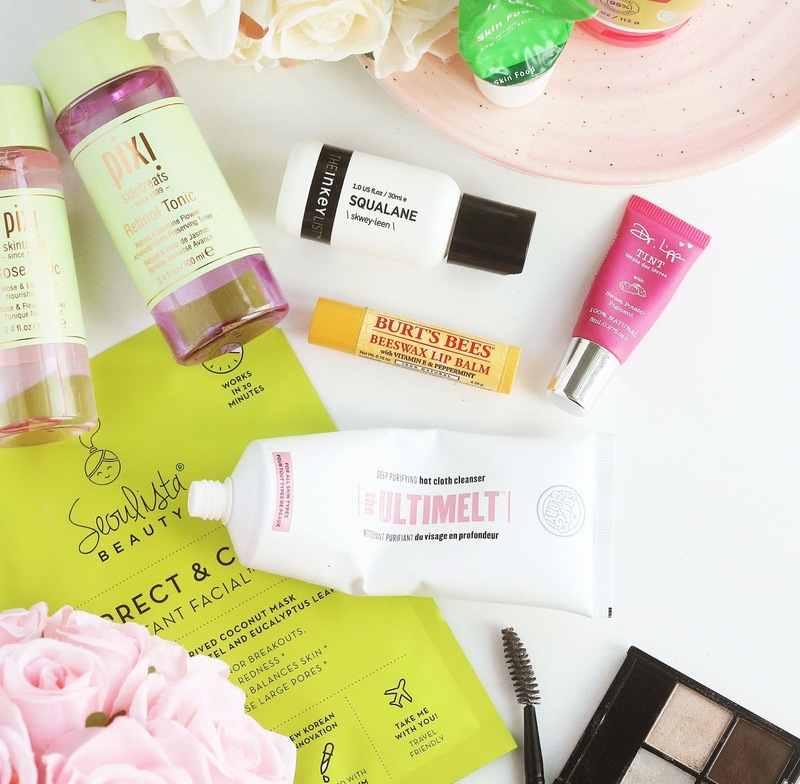 But luggage friendly face masks aren't that easy to track down (the Omorivcza mini clay mask is a rarity!). The answer, of course, are sheet masks! The korean beauty trend has really blown up in the past couple of years, but they really come into their own when it comes to travelling. 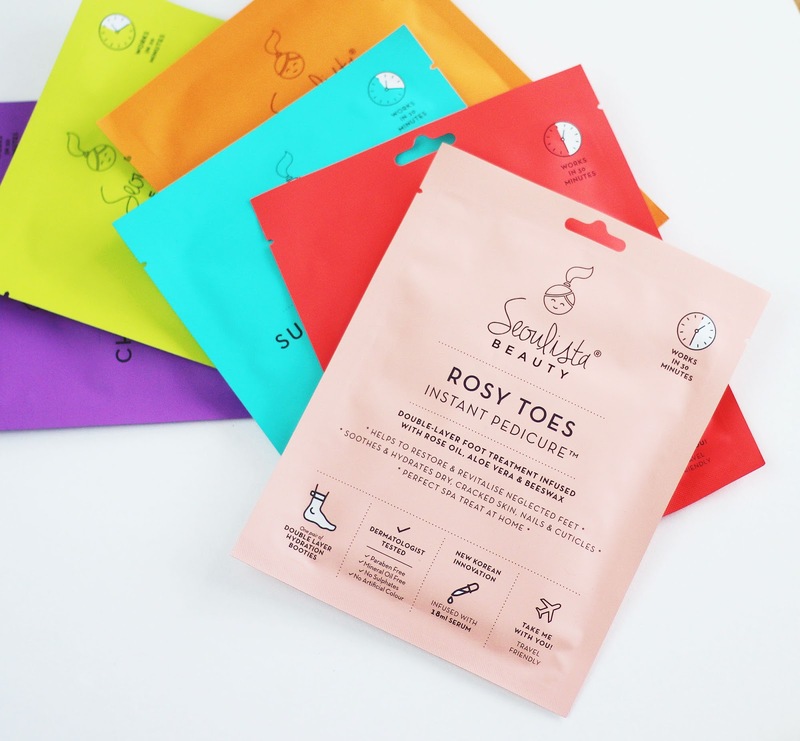 I'm loving the Seoulista Beauty Sheet Masks*, they have everything from detoxifying, brightening, hydrating - to even sheet masks for your hands and feet! There really is something for everyone, and they're so compact and there's minimal risk of spillage. 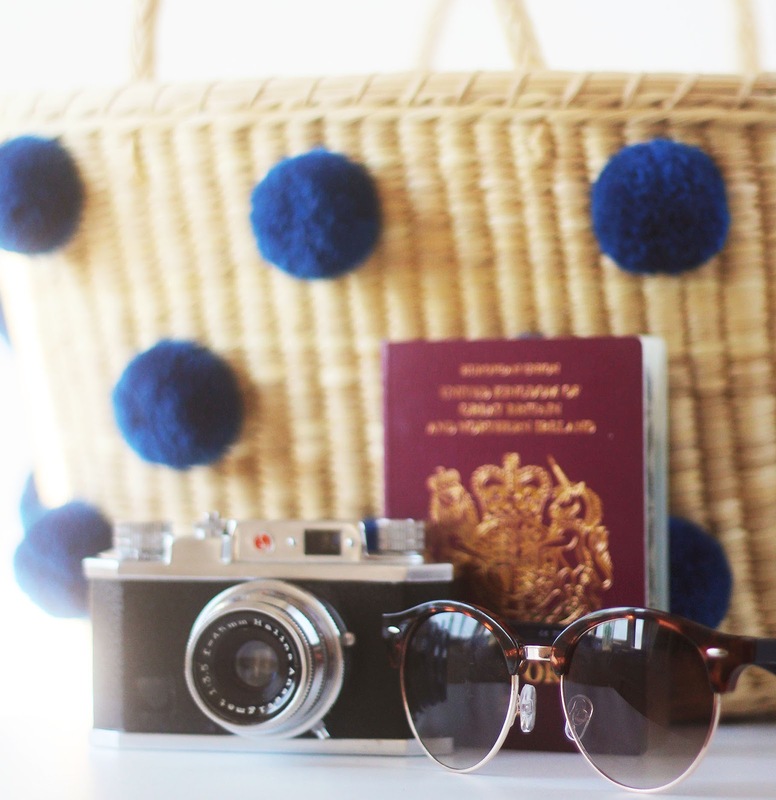 Absolutely spot on for vacay! 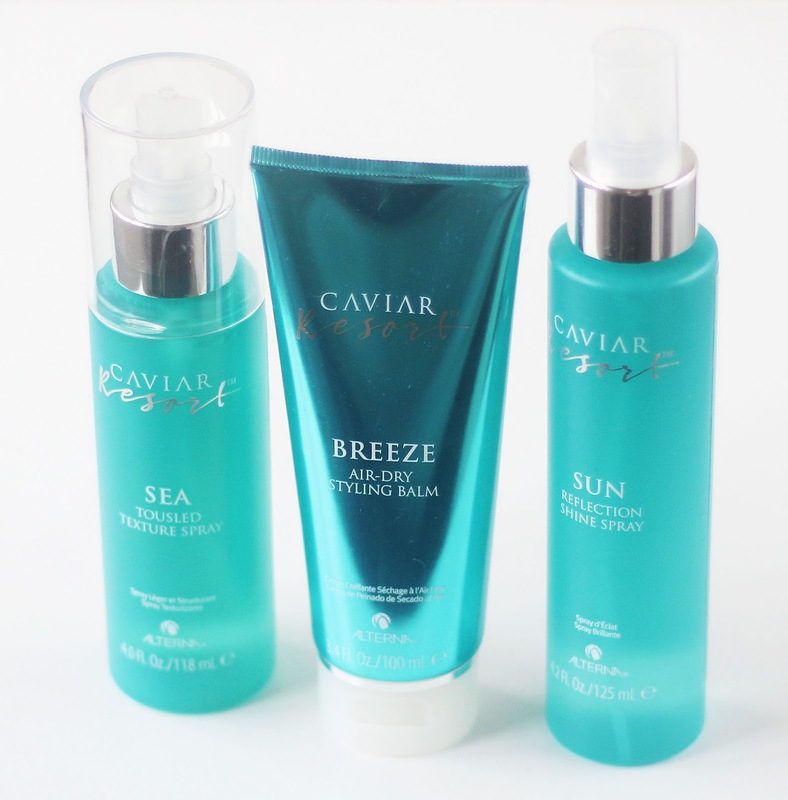 I'm currently loving this trio of goodies from Alterna's Caviar Resort collection, the Sea Tousled Texture Spray*, the Sun Reflection Shine Spray*, and the Breeze Air Dry Styling Balm*. 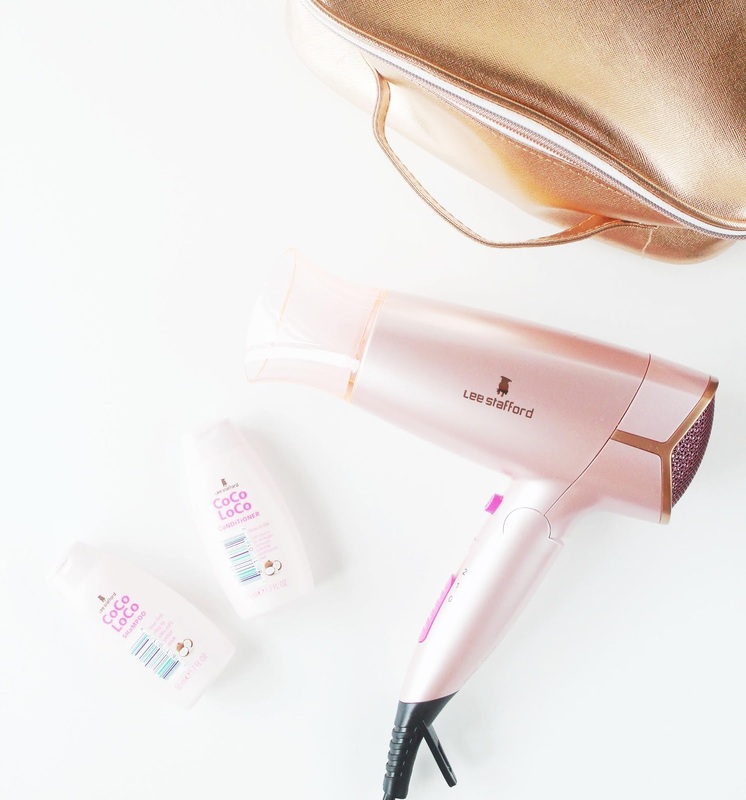 Perfect for achieving Summer goddess locks! I'm also into these super luggage friendly minis from Phil Smith: the Glam Shine Glossing Serum* and Total Treat Transforming Argan Oil*. I like to keep my self silky smooth in the summer time. 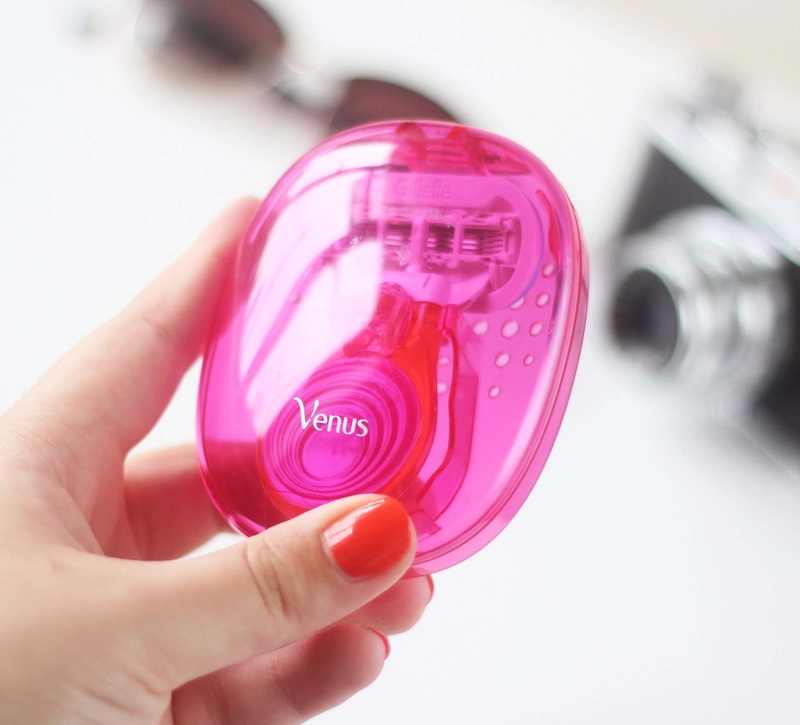 For up-keeping hair removal whilst on your hols', Gilette have launched their Venus Snap*, a portable razor. It's really small and comes in it's own little carry case, too. 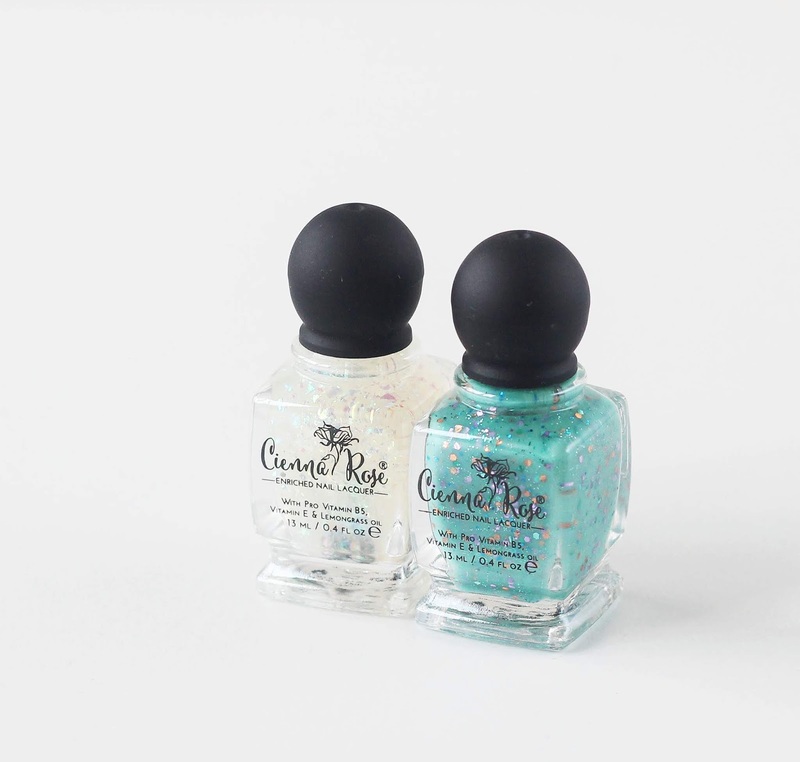 However, if you're after nail polish that's a bit more jazzy ready for your hols', take a peek at these two Cienna Rose Nail Lacquers*. The colours are beautiful, right? 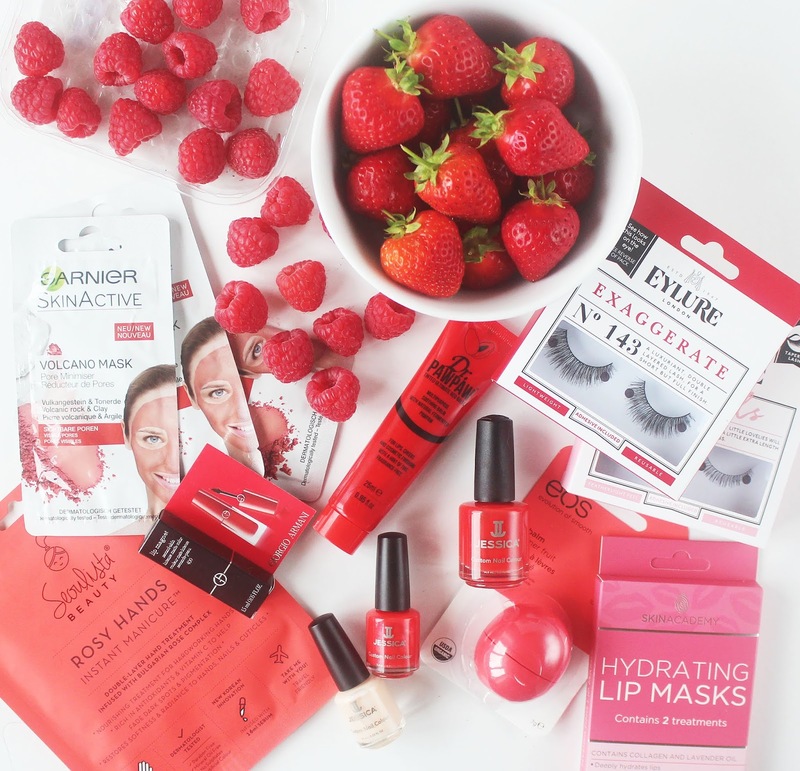 But they're also brilliant for your nails, containing vitamins B and E! I also like to make sure I take a fragrance with me. As much as I like a browse round the Airport's duty free fragrance section, I like to come prepared. You can pick up perfume minis or samples, but, alternatively, you could also opt for a Twist & Spritz*, in which you can decant your favourite fragrance. A Twist & Spritz holds 8ml of fragrance, which is around 100 sprays - plenty to last a holiday! Holidays are all about self care, as well as being a form of self care, aren't they? 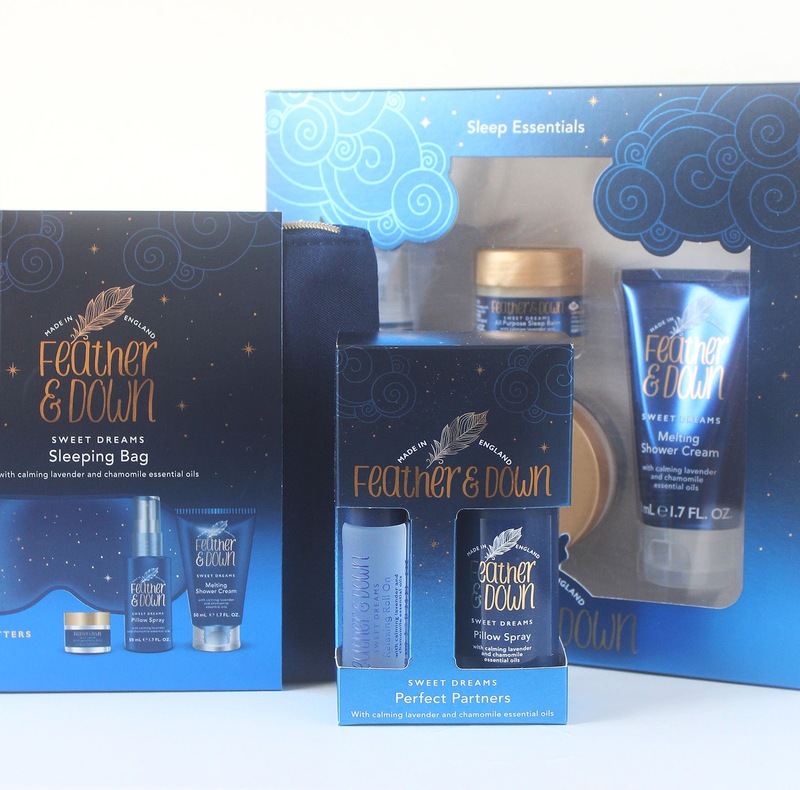 I'm really into Feather & Down lately and they've got some handy travel sets*. My personal recommendation for travelling is the Sleeping Bag set. You get an eye mask (need to catch some shut eye on the plane, anybody? ), plus Pillow Spray, Melting Shower Cream and All Purpose Sleep Balm. Perfect for if you need help sleeping, or want to catch up on much missed ZZZs whilst away. 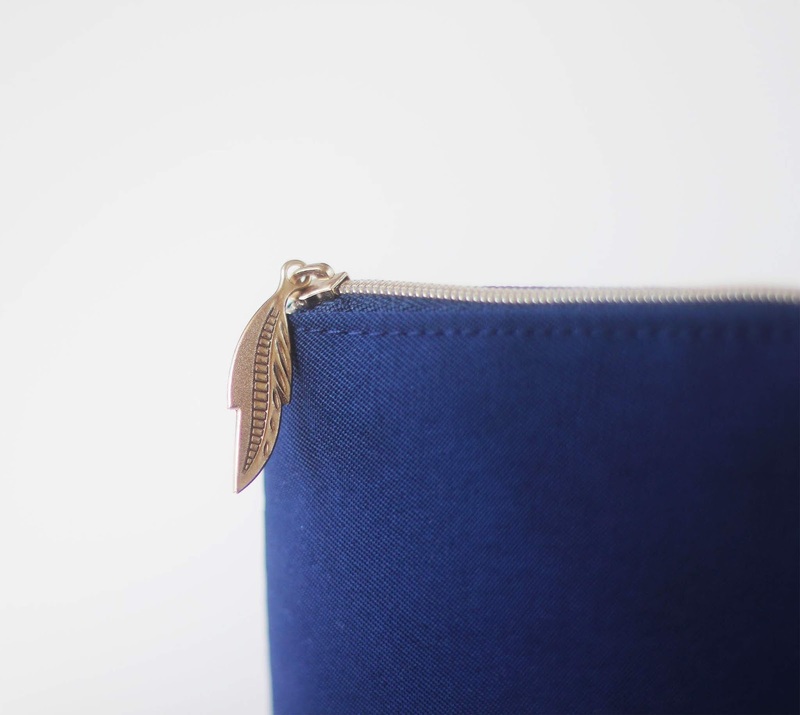 Plus, it comes in a lovely pouch with the cutest feather design zip - it just ties it all together and makes it really handy to just toss in your suitcase. 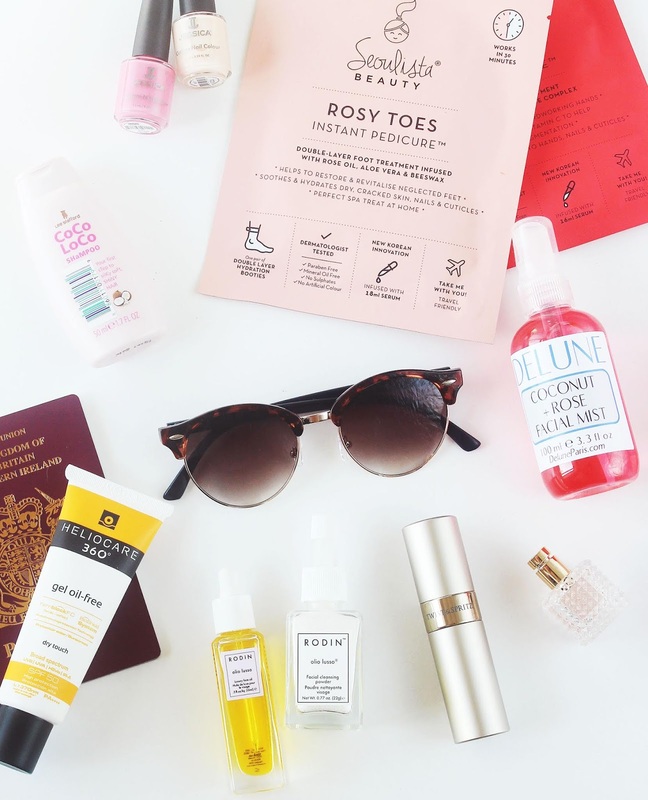 So that's all my travel beauty essentials! What are yours? Let me know in the comments below! And if you're entering the giveaway, best of luck! PS! I'm not sure on the current airport liquid restrictions. When I talk about putting liquid products in your carry on, I am also referring to carry on bags for travelling by train/coach etc. Please check the liquid restrictions before you travel! Definitely some red lipstick - looks good in casual situations & in the evejing. hydrating water spray, so cooling ! Nivea lip balm, it is very soothing on my lips and gives them a nice shine too. It would have to be an eye mask! Keep out the sunlight at stupid o'clock in the morning. I need my beauty sleep! I think I need to get my hands on that air dry styling balm - I don’t usually dry it with a hairdryer, and it ends up going all frizzy a lot of the time. Such a detailed and amazing post! Lip balm, sunglasses, mascara, waterproof suncream, BB cream to calm the redness, impulse as its light to pack, nail polish, moisturiser, after sun, tweezers...! Liz Earle skin tonic spritzer,it's perfect for cooling and refreshing. Brazilian Bum Bum cream by Sol de janeiro because it keeps my skin ultra hydrated and I adore the smell ! I have to take my concealer with me. My tweezers - going nowhere without those! A moisturiser and lip balm with spf of at least 30. My foundation - because without it I feel less confident and it's got SPF so I'm covered! I did a post just like this a while back and I can honestly tell I've gotten much better at packing and not panicking about it. Also, totally agree that we go a bit extra when on holidays. I still have about 2 months to my holiday (if I'll even go) but can already see myself wearing stuff I wouldn't here for sure! SPF and coconut oil are my bueaty weapons when I'm on holiday. 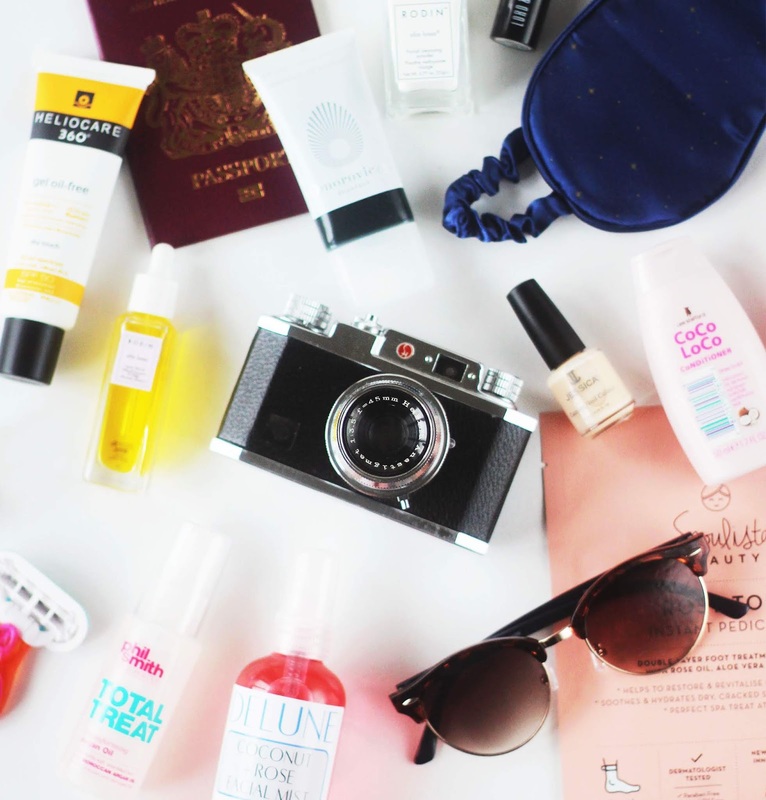 My beauty travel essential is definitely bb cream! Much less cakey than foundation but helps cover any blemishes and is great for holidays! Cocoa butter moisturiser! I use it everytime I go away! 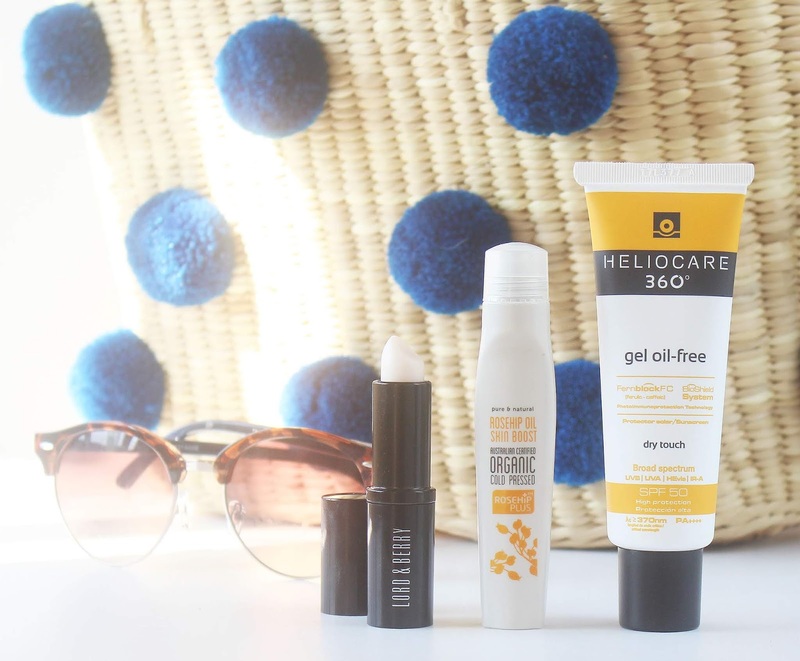 A high SPF sun cream is an absolute essential (obviously! )Other than that, taking lip balm (carmex is a fave) and a single use sachet of moisturising face mask onto long haul flights as the air con is SOOOOO DRYING ! skincare samples often make it into my carry on also as they're so easy on a long haul flight to not have to faff around with squirting 100ml of face wash into a tiny bottle only to end up spilling it everywhere. Nightime Moisturiser is a must for me when on holiday. Lip Balm and moisturiser - two things I can't live without! A good foundation and some lip balm! Make up remover wipes are essential. I always seem to have watery eyes when I'm travelling so I need the wipes otherwise I look like a panda! It has to by face wipes, whether its to clean make up off, or using them to just refresh my face during a day at the pool. Sun cream and after sun! I burn easily. Moisturiser for my dry skin.